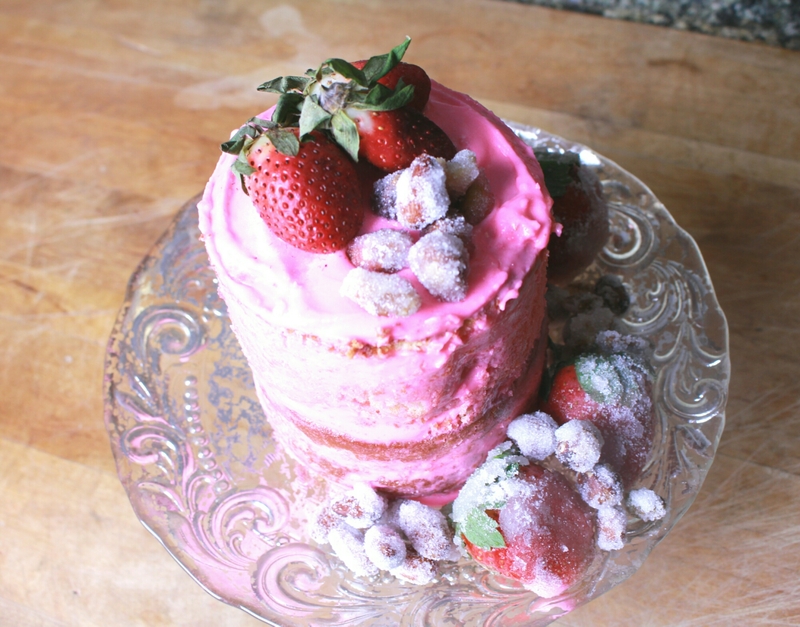 Today’s recipe is a two layered naked cake topped with sugared fruit and nuts. I called it January cake simply because it was made in January.It’s a white butter cake with minimal icing so it’s a light(ish), dessert great for after a holiday season of decadent eating and drinking. 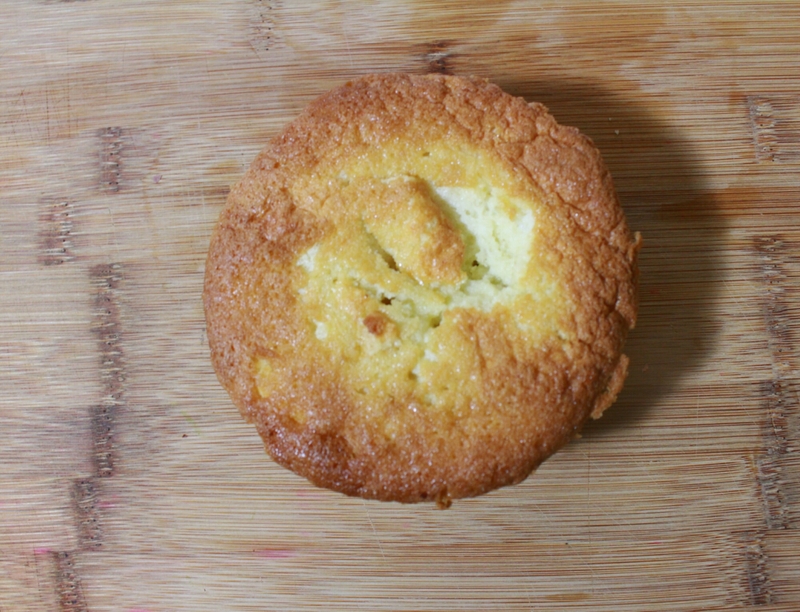 This butter cake recipe is adapted from my favourite baking website, Joy of Baking. I added the strawberries and cut down on the sugar a bit. The recipe makes two 8 inch diameter cakes. However, I made 2, 4 inch diameter cakes and so I had excess batter. 1) 2 eggs, separated- Allow the whites to come to room temperature. 3) 1 cup granulated sugar divided into 3/4 cup and 1/4 cup. 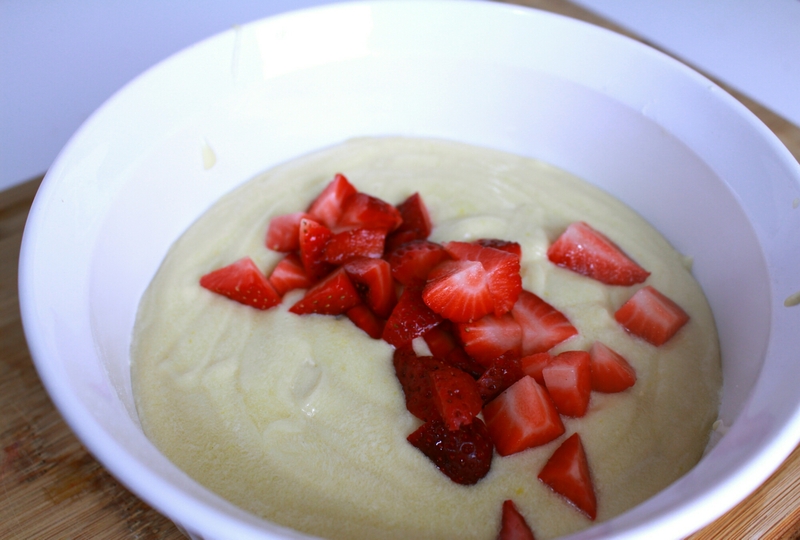 1)Assorted fruits- I used strawberries but you can use any berries you like. 2)Assorted nuts- I used almonds, walnuts and hazelnuts. 3)Granulated white sugar- about 1 cup. 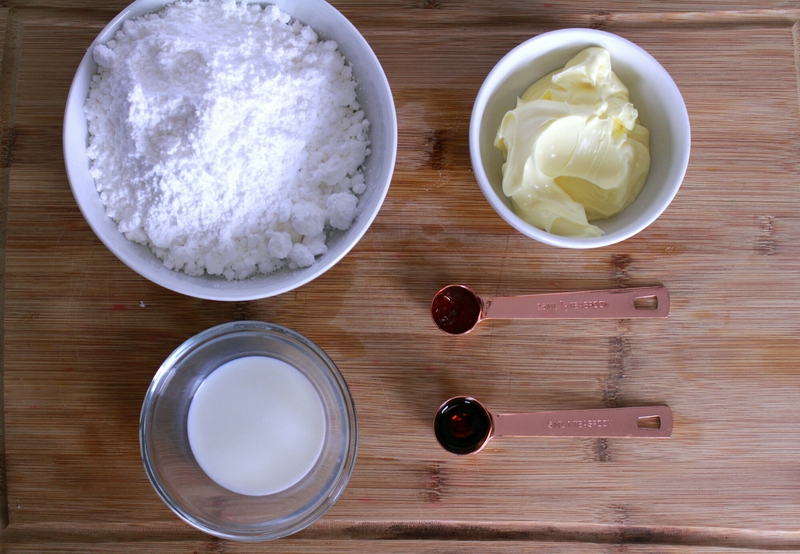 1) Beat butter until soft then add 3/4 cup of sugar and beat until fluffy. Add egg yolks and vanilla extract and beat well. 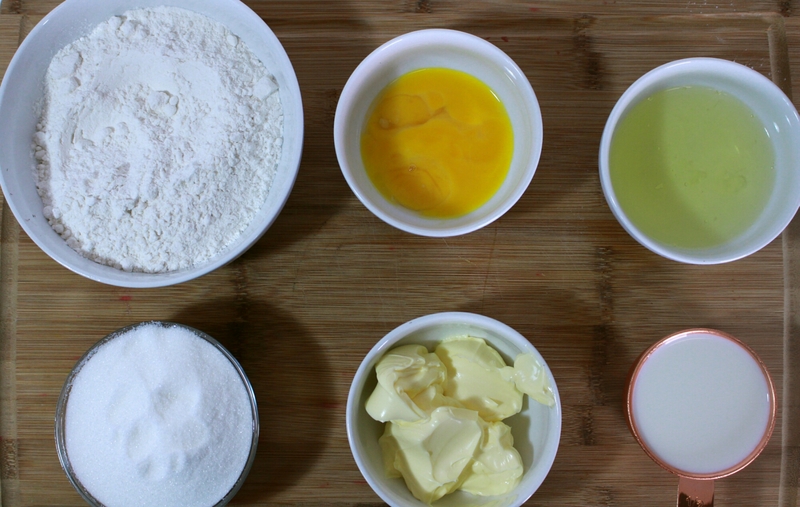 2) Keeping mixer on low speed, add flour and milk alternately beginning with flour. Add chopped strawberries and mix in gently with a spatula.Set batter off to the side. 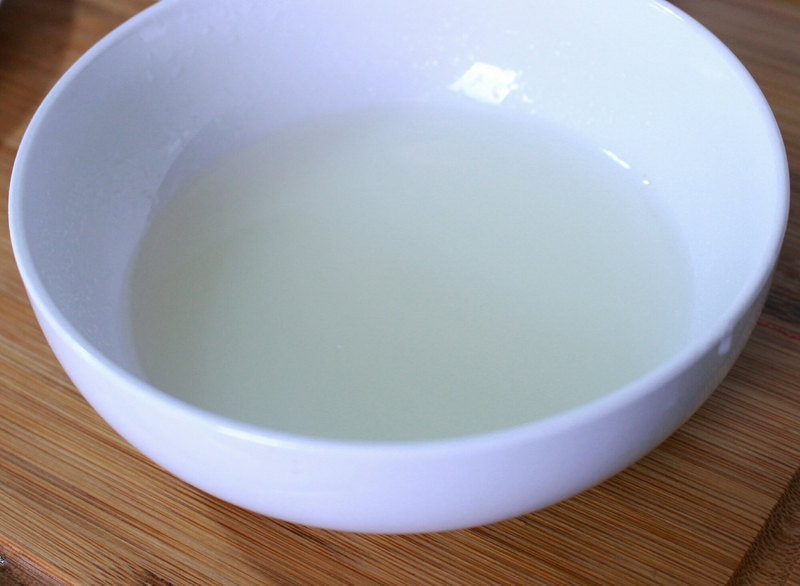 3) In a clean bowl, beat egg whites until foamy. 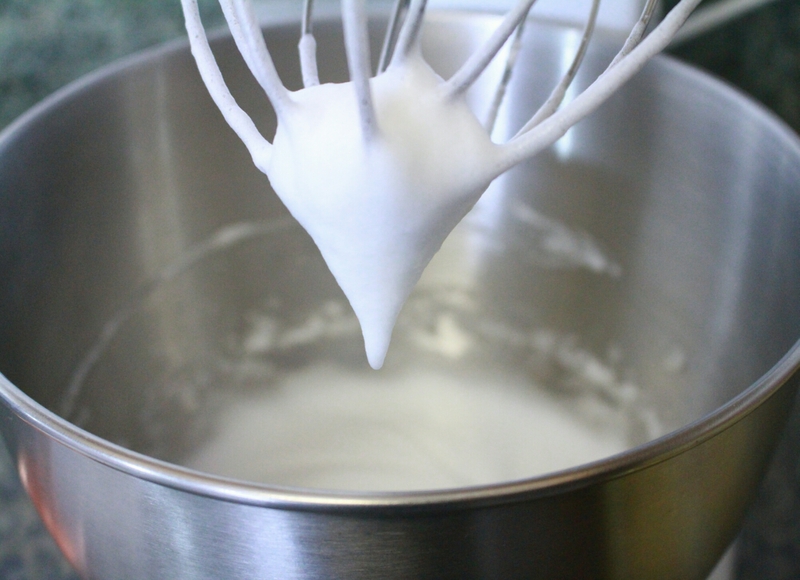 4) Add cream of tartar and beat until soft peaks form. 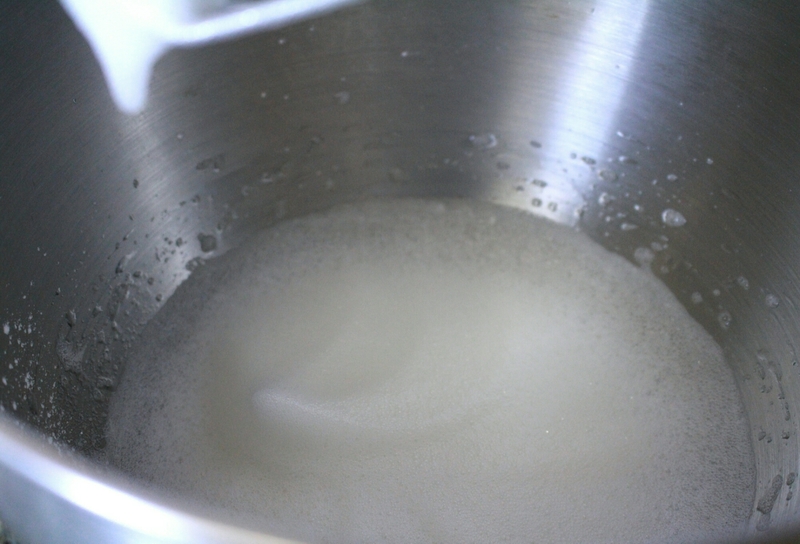 5) Add 1/4 cup of sugar and beat until stiff peaks form. 6) Fold meringue mixture into batter careful not to deflate the meringue. 7) Pour into baking tins and bake at 350 F until done. 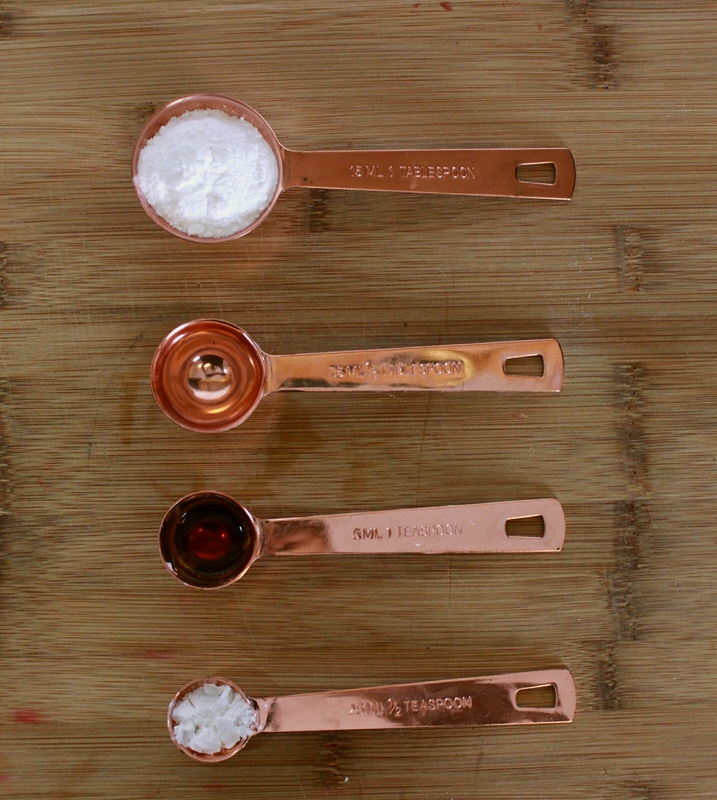 1)Mix about 1/2 cup of sugar with a small amount of water until a thick syrup forms. 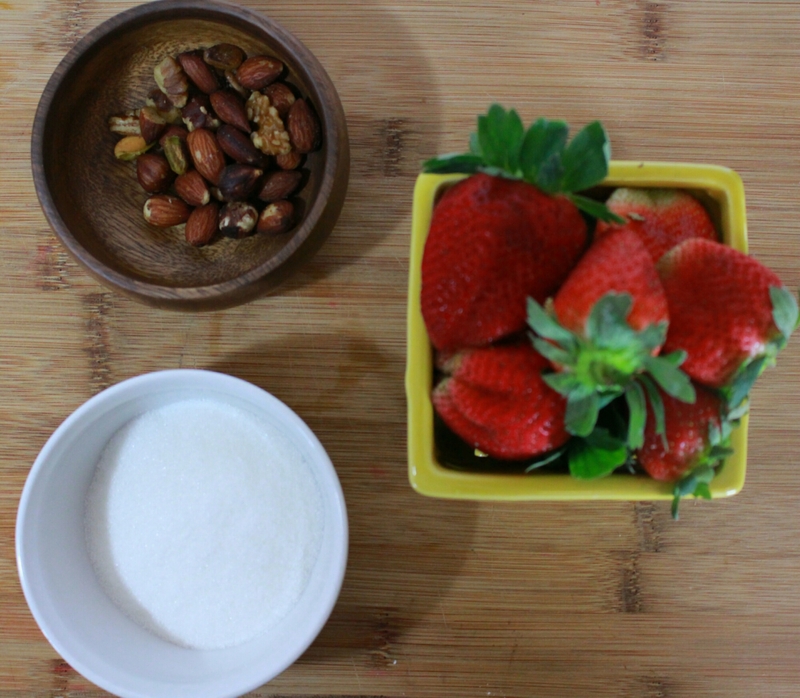 2) Dip strawberries and nuts into syrup and allow to partially dry then roll into remaining sugar. 3) Set out to dry at room temperature. 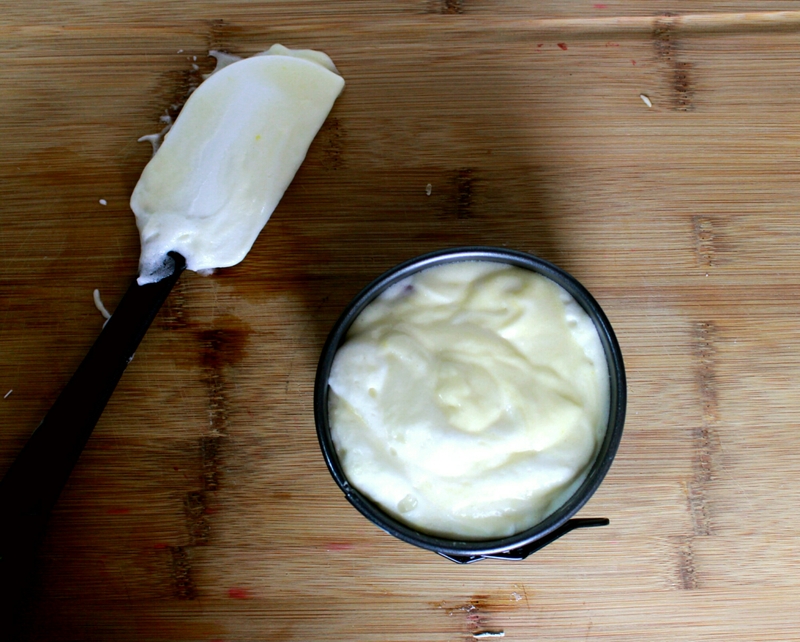 1) Beat butter until smooth and creamy. 2) On low speed add the confectioners sugar. 3) On high speed add milk and beat until frosting is light and fluffy. 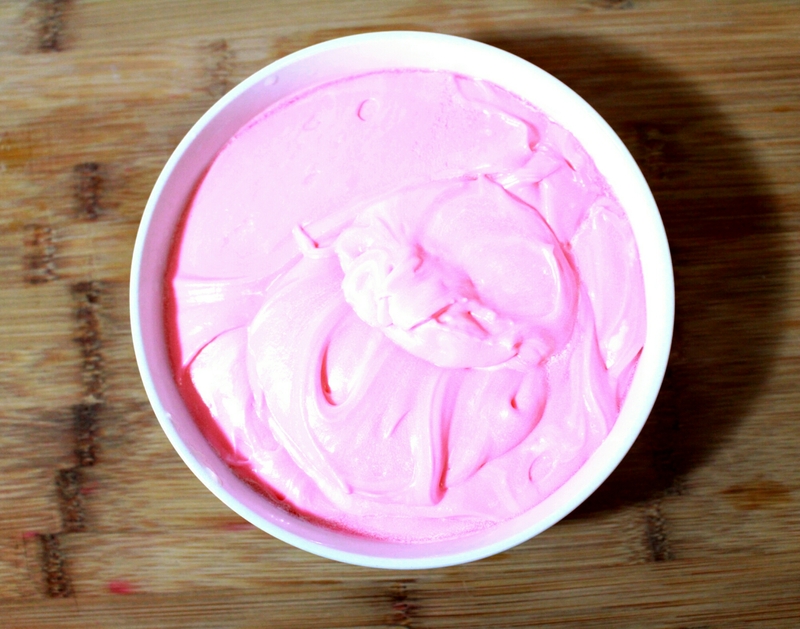 4) Add food colouring (I added WAY too much). I intended initially to make a 3 layered cake but due to the narrow diameter , it wasn’t structurally sound, Depending on the size of your cake you can do however many layers you wish. 1) Level the cakes using a sharp knife or cake leveler. 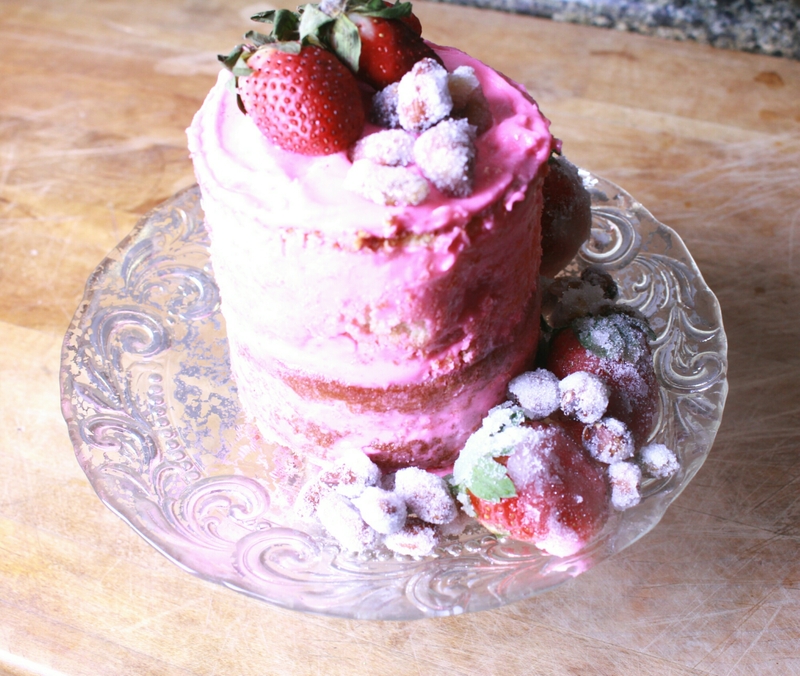 2) Place a dot of frosting on a sturdy icing surface and put first layer of cake down. 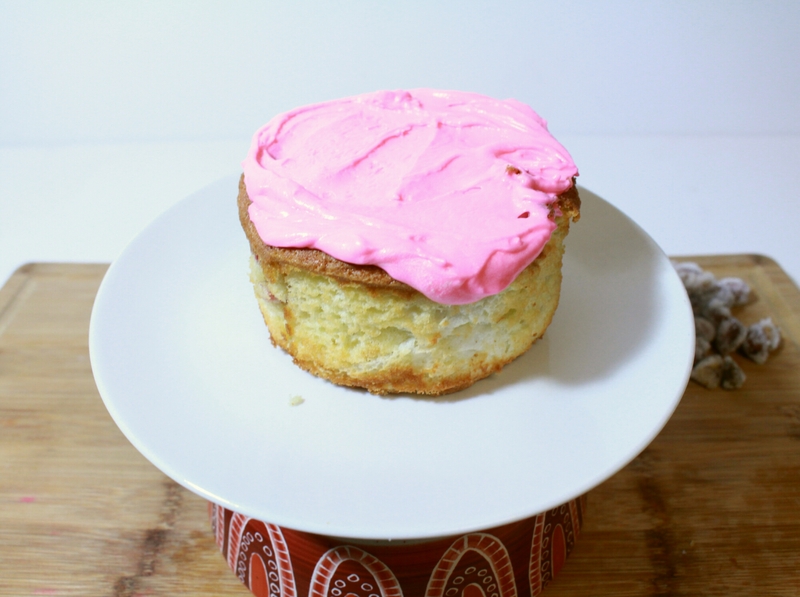 3) Place a dollop of frosting on top of cake and using a knife spread it out. 4) Place second layer on top and cover top with icing allowing some to spill over the edge. 5) Place in refrigerator and allow everything to firm up for about 15 minutes. 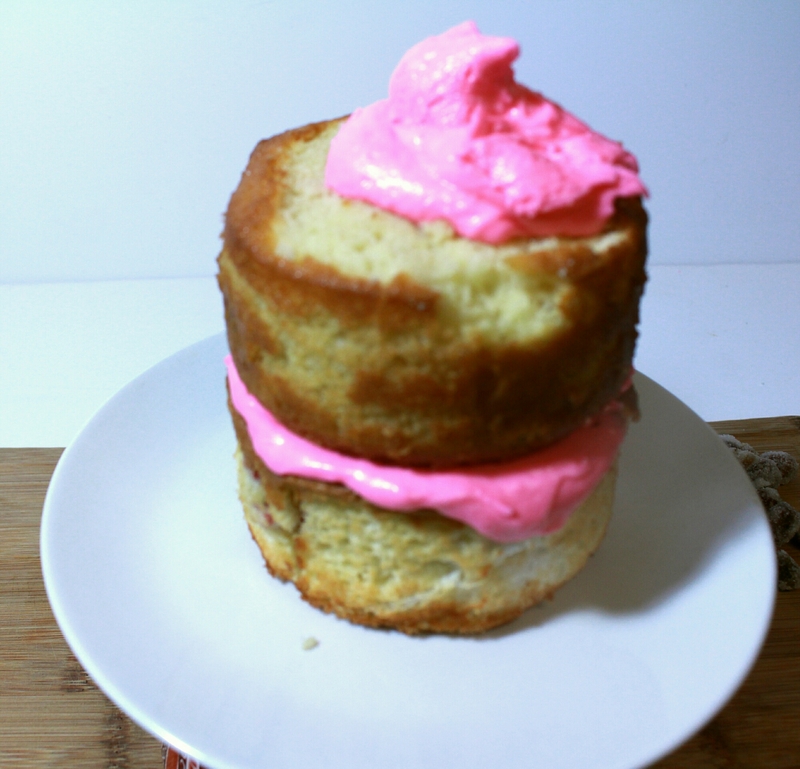 6) Add a bit more frosting on top and spread it with a straight edged tool (palette knife ) until there is a light layer of frosting around the cake.Think of just doing a crumb coat layer of frosting. 7) Add toppings and you’re done. This cake was delicious. The butter cake is light but somehow still dense. Not like a sponge cake at all which is how I thought it might be at first. 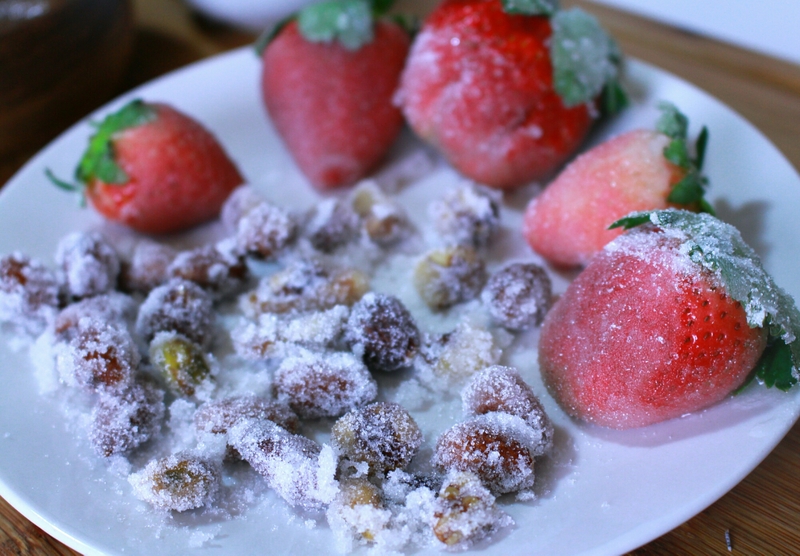 The sugared fruits and nuts add a whimsical flair. The icing was sweet and buttery but not overwhelming because there wasn’t much of it. 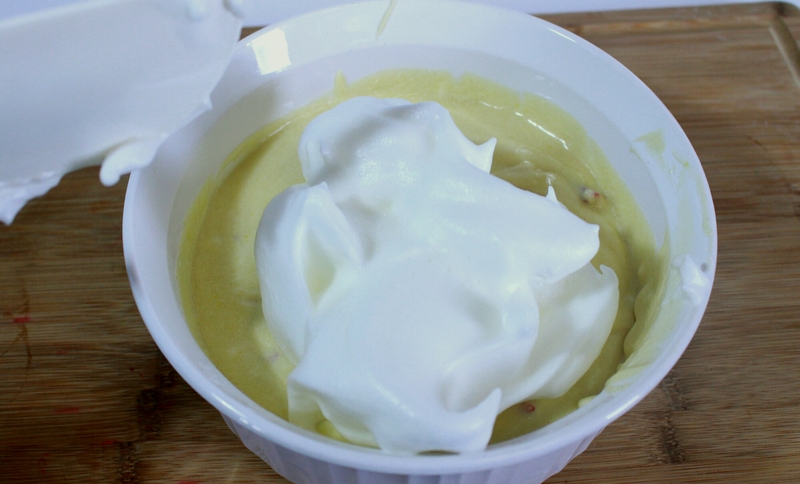 This is great to have as a teatime dessert or a brunch dessert or really anytime.